Finance directors are exerting ever-more control over fleet management decisions, resulting in a greater drive to reduce total cost of ownership. Giuseppe Tommaso of SEAT explains how driver satisfaction and brand attraction can exist alongside genuine value for money. How does SEAT handle international fleet demands? 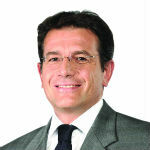 Giuseppe Tommaso: SEAT is a proud member of Volkswagen Group, and the only brand in the market to combine Latin design with German technology. We handle international customer requests using the Volkswagen Group approach. Very large customers have one central contact in Group Fleet International, a dedicated department that agrees on international framework agreements for all the brands of Volkswagen Group (VW, Audi, Skoda and SEAT) and provides one face to the fleet customer. In addition, we have a dedicated international key account manager in our SEAT fleet team for all big SEAT customers, including those from Volkswagen Group Fleet International. To what extent has the finance director become more involved in fleet management decisions? Increasingly, company cars are becoming a multidepartment decision where driver satisfaction, brand attraction and total cost of ownership (TCO) need to be balanced. Finance directors can contribute by moving the discussion from the purchase price to the cost of ownership. At SEAT, we try to discuss together with the customer and leasing companies such as Volkswagen financial services how we can create value and customer satisfaction, and optimise TCO. How efficient are SEAT's vehicles from a TCO and environmental perspective? SEAT's 900 engineers work to provide the fleet customer with the very best technology and safety features. Thanks to cutting-edge start-stop technology and brake-energy regeneration, SEAT cars are leaner and greener than ever before without sacrificing performance. On top, we work to reduce the overall weight of the car which also makes them extremely efficient. And when you reduce emissions, you reduce costs. We also excel with best-in-class residual values thanks to professional used car remarketing and Volkswagen Group technology. And we offer a long-life service programme reducing the whole-life costs of our vehicles as longer and flexible service intervals result in lower maintenance costs. "SEAT’s 900 engineers work to provide the fleet customer with the very best technology and safety features." All this brings rental rates to a competitive level. When you compare the driving pleasure, design and quality, our range becomes extremely attractive for fleet directors. How do you see the international fleet market evolving from an environmental and mobility management perspective? Responding to the fleet needs is not just about providing real value for money, but about setting you up with the best vehicles possible and having drivers' needs clear in our mind. At SEAT, the fleet customer can expect exclusively designed business packages, high residual values, low fuel consumption, low repair costs and a TCO to feel good about. This is what we call the perfect balance between the rational and the emotional values that SEAT stands for. What executive cars are most suited to the modern CFO and which of your vehicles were showcased at the recent motor show in France? At SEAT we have a big range, from the new city car Mii to the Ibiza in the shape of the five-door body, the more dynamic coupe-like three-door SC and the station wagon ST. The range tops with the Exeo (sedan and ST station wagon) and Alhambra MPV, which cover all driving needs. At the core of our range are two pillars: the return of the Toledo, an impressively designed sedan with a big hatchback boot, and a special focus on southern European and emerging markets; and the new Leon, which was presented in Paris and which is introduced in Germany, Austria and Switzerland right now. As with the Ibiza, the Leon range will expand to include a striking three-door version and a versatile, stylish wagon. The all-new Toledo and Leon arrive in SEAT's range during the busiest period of new product activity in the company's history and place the brand in a perfect position for both business and private customers.